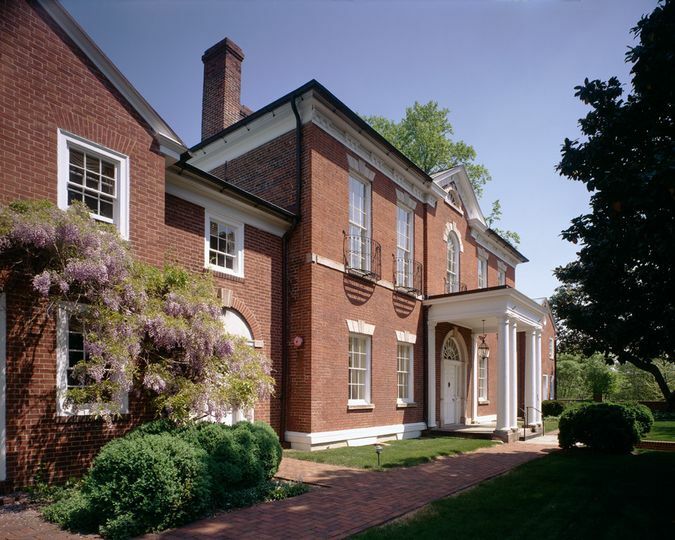 The Dumbarton House is a historic mansion for couples’ weddings in the Washington, D.C. area. This house museum is the perfect location for an elegant wedding with its brick walkway and rose bushes behind the house. This venue can be found in Georgetown, about 10 minutes from the John F. Kennedy Center for the Performing Arts. 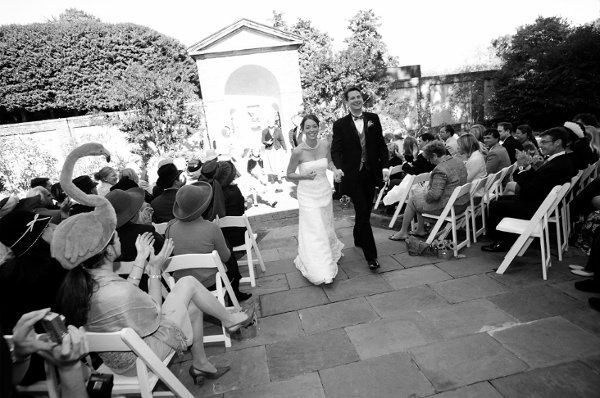 Guests lists can reach as many as 200 attendees for a couple’s wedding at the Dumbarton House. Ceremonies can occur in the back gardens of this mansion. Typically, the first floor of the house is open to guests as they arrive, so that they may walk through the historic rooms, setting the tone for the wedding before heading to the back garden for the ceremony. There, the couple is backed by a brick wall that encloses the property for privacy. Flowers and shrubbery surrounds the couple in a sea of color. Receptions can be held in the first-floor banquet space at the house. This room, with light walls and golden chandeliers, opens via French doors to a lovely courtyard. Couples can also host a tented reception on the property. The house on this venue’s property was built by Samuel Jackson in 1799. The house traded hands many times following its construction, changing hands with the occurrence of significant historical events, such as the relocation of the nation’s capital from Philadelphia to Washington, D.C. and the Civil War. 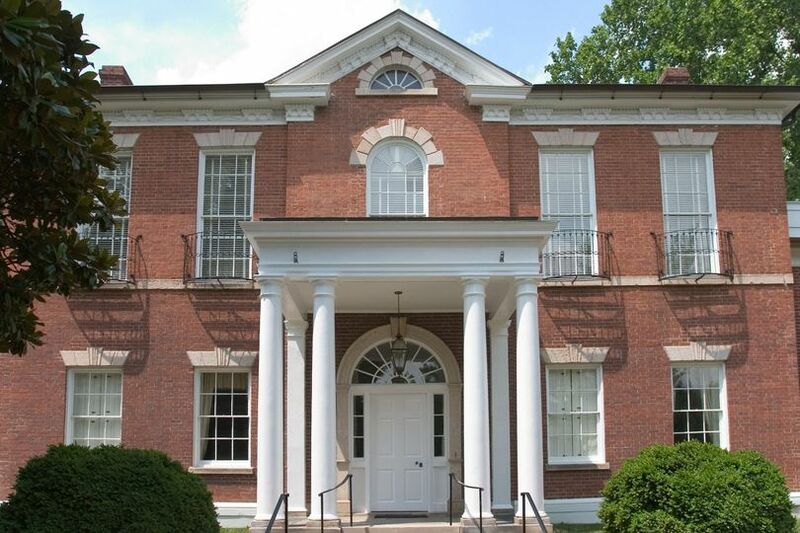 It was purchased by The National Society of The Colonial Dames of America in 1928. The house is still used as their headquarters today. The house underwent restoration and reopened as a museum and event space for the first time in 1932. Our wedding at the Dumbarton House was totally perfect. The house itself is gorgeous-- we used the gardens for the cocktail reception and the Belle Vue room and patio for the dinner, and everyone was extremely impressed. We chose the Dumbarton House because of the dedicated indoor space (rather than setting up a tent on grass, which made me nervous), its interesting history, its ornate ballroom (we did very little additional decorating), and the attentiveness of the staff. Throughout the planning experience, the staff was responsive, flexible, informative, and very nice. During the cocktail hour, my husband (!) and I were trying to find a quiet place to talk in the middle of all the revelry, and a Dumbarton House staff member brought us to a private room away from the crowd and had the catering staff bring us wine and a plate of canapes. This gesture was so sweet and made us feel valued as guests. I highly recommend the Dumbarton House! Wonderful value, inspiring history, perfect experience! This was our first and our last place to select for our wedding! 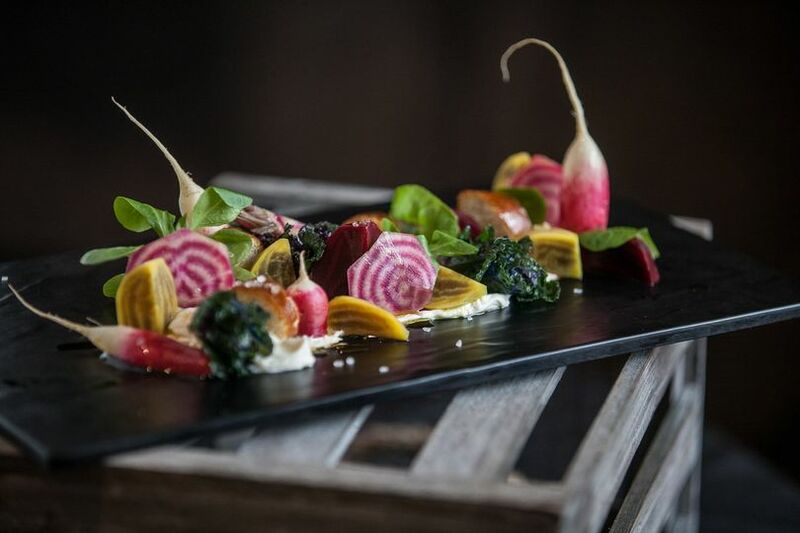 We went for more of a garden themed, yet wanted to stay within DC since most of our guests were coming from out of town and didn't want to opt for a vineyard that would require shuttles to drive everyone out to Virginia. Suzanne who is the event coordinator was very responsive and detailed, and had also worked with some of our other vendors so we were very lucky with that. The Dumbarton house is already a beaut that you don't need too many decorations if a garden-themed wedding is what you're aiming towards. We had our wedding in the fall so the leaves made for great, natural decor. You have the option to use upstairs, downstairs, and inside. The house has a great flow to it. Although the house can accommodate up to 150, I would suggest 120 or less to accommodate for dance floor space. My husband and I got married at the Dumbarton House on October 1, 2016, and it was everything we wanted it to be. The coordinator, Suzanne, was so helpful throughout the entire process, answering the numerous questions we had, always in a very timely manner. She was very professional and worked well with all of our other vendors. We had 113 guests and a live band, which fit the space very well. We held our ceremony in the North Garden, and it felt secluded and was quiet, definitely did not seem like it was in the middle of Georgetown. The cocktail hour was in the Upper Terrace, and because of the possibility of rain, we tented this area only. The tent was high enough that it didn't feel closed in, and we were happy with the result. The dinner and reception were in the Belle Vue room and the Lower Courtyard. We sat half of the tables outside and the other half in the room, but it really felt like one room. 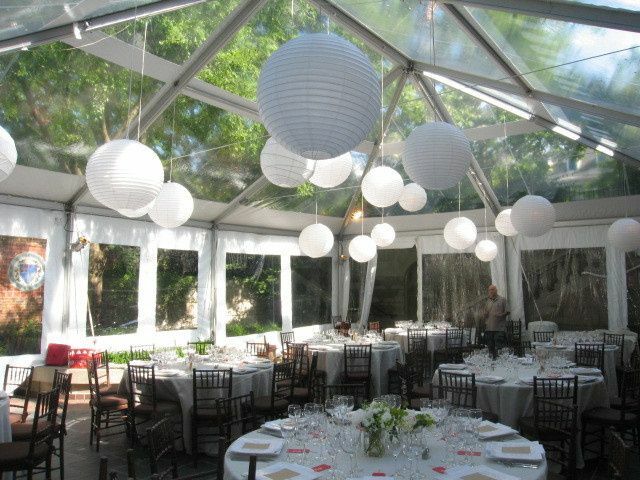 My husband and I would occasionally walk by the Dumbarton House in the months leading up to our wedding, and we were able to see different tent configurations on the property, which helped informed our decisions on the tents. This is such a beautiful and historic venue in Washington, DC and we received so many compliments on how classy yet comfortable it felt. 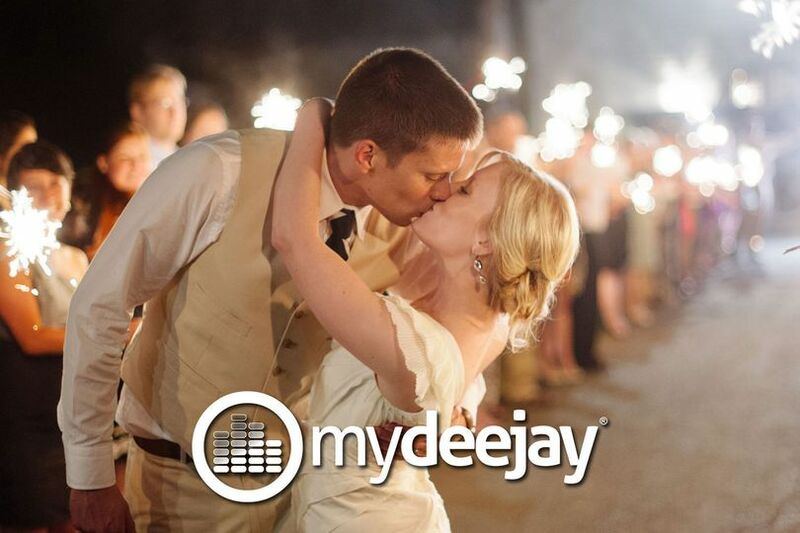 The staff was extremely helpful, and we would recommend this to anyone looking for a venue! Dumbarton House is an absolute gem! The location is amazing, the grounds are stunning and the staff is very experienced, professional and lovely to work with! Highly recommended! 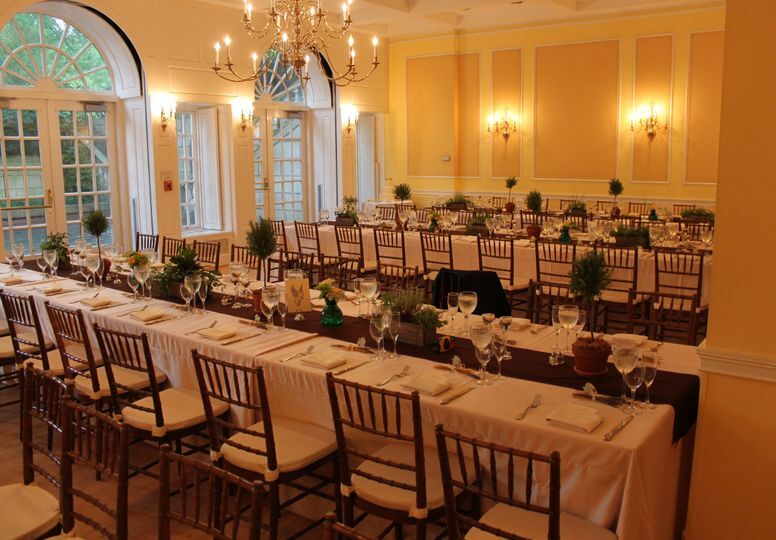 Nestled in the Georgetown neighborhood of Washington D.C., the historic Dumbarton House is a stunning venue with excellent indoor and outdoor space as well as high quality of service and responsiveness. The Dumbarton House staff work diligently to assure that the day goes by flawlessly and that all needs of the bride and groom are met. As a vendor it was a great experience working with them, would highly recommend!